Green Street Solar Power is working with Fr. John McKenna to use eight acres on a sloping section of the Shrine’s property for the array, which would provide 2.5 million kilowatts per year to the Marian Shrine property as well as 250 homes in the town. Scott Kerner and Amanda Zurla gave the Stony Point Town Board a presentation of the proposed array for the site, which would be protected by wire fencing and screened from the road by trees. “It would not be an eyesore to the area or affect property values,” said KerNer. Green Street Solar would also create a storm water draining plan with the planning board when it reaches that stage of development. 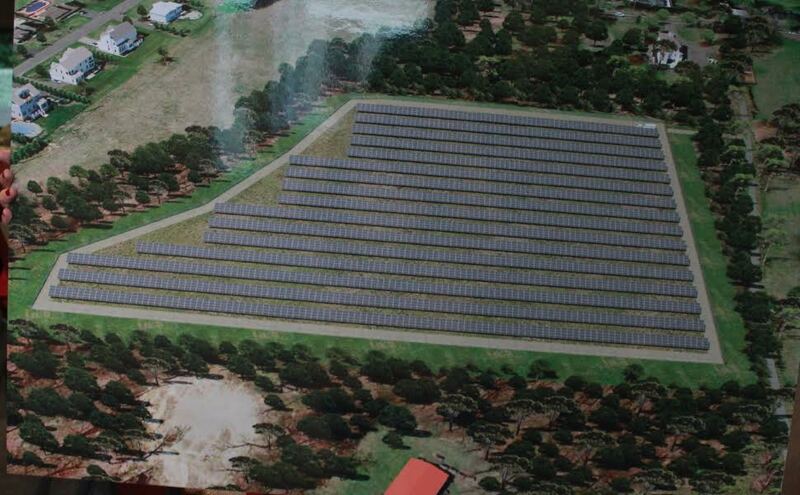 The Marian Shrine would also get a discount for giving Green Street Solar Power the lease to use the property for the array but would receive no tax benefit from the panels since it is a religious, tax-exempt site. Councilman Tom Basile said he’d like more information about other municipalities in the mid-Hudson that Green Street Solar has worked with. Supervisor Jim Monaghan set a public hearing for Tuesday, August 8 at 7 p.m. at the RHO Building. The purpose of the hearing is to draft a local law to permit solar to be built on town or private property and leased out. Should any trees be chopped down to accommodate the project, corporate policy is to plant two trees for every one removed.